Are you a fan of 1970s music? Know your Blondie’s from your Pistol's? Try the uDiscover 1970s Music Quiz and test your 70s music knowledge! Can you get 10/10? It’s hard but fun! How well do you know legendary soul label Motown? Know your Diana’s to your Marvin’s? Test yourself with uDiscover's Motown music quiz - it's hard but fun! Are you a fan of 1960s music? Know your Woodstock’s from your Day Tripper's? Try the uDiscover 1960s Music Quiz and test your 60s music knowledge! Can you get 10/10? It’s hard but fun! How well do you know George Harrison? The 'Silent Beatle' who went on to become a successful music/film producer. Try the uDiscover George Harrison music quiz and see if you do actually know him well! How well do you know John Coltrane? The legendary jazz saxophonist and free jazz composer... Try the uDiscover John Coltrane music quiz - it's hard but fun! Big fan of Rainbow? Think you know everything about Ritchie Blackmore and his band? Try the uDiscover Rainbow music quiz and test your rock knowledge - it's hard but fun! How well do you know Cream? Are you a fan of Eric, Ginger and Jack? Try the uDiscover Cream music quiz and test your classic rock knowledge - it's hard but fun! Are you a fan of Muddy Waters? The father of modern Chicago Blues... Try the uDiscover Muddy Waters music quiz and test your blues knowledge - it's hard but fun! Think you know everything about The Beatles? Are you a big fan of Paul, John, George & Ringo? Try the uDiscover Beatles music quiz and test yourself out. It's hard but fun! Think you know everything about Queen? Are you a big fan of Freddie, Brian, Roger and John? 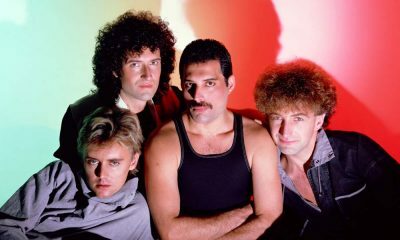 Try the uDiscover Queen music quiz and test yourself out. It's hard but fun! Are you a fan of George Harrison? Think you know everything about ’The Silent Beatle'? Try the uDiscover George Harrison music quiz and test yourself out. It's hard but fun! How well do you know The Who? Are you a big fan of Roger, Pete, John and Keith? Try the uDiscover The Who music quiz and test yourself out. It's hard but fun! How well do you know Louis Armstrong? Are you a Satchmo fan? Try the uDiscover Louis Armstrong music quiz and test yourself out. It's hard but fun! Test your classic rock knowledge with the uDiscover Classic Rock Music Quiz! Know about Cream, Creedence, Grand Funk and Deep Purple? It's hard but fun! Can you get 10/10? Test your blues knowledge with the uDiscover Blues Music Quiz! Do you know your Muddy's from your Wolf's? Your B.B. from your John Lee? It's hard but fun!